North Lake Tahoe, at an elevation of 6,200 feet, is home to majestic mountains and the largest alpine lake in the country, boasting a visibility of 70 feet down. It’s world renowned, especially for all things human-powered, including biking, swimming, running, stand up paddle boarding, hiking, as well as skiing and boarding in the winter months. The region is a 45-minute drive from the Reno-Tahoe International Airport, two hours from Sacramento International Airport and just over three hours from San Francisco International Airport. The North Lake Tahoe Visitors Bureaus, the North Lake Tahoe Chamber/CVB/Resort Association and the Incline Village Crystal Bay Visitors Bureau, work together to promote North Lake Tahoe as a premier, year-round destination. 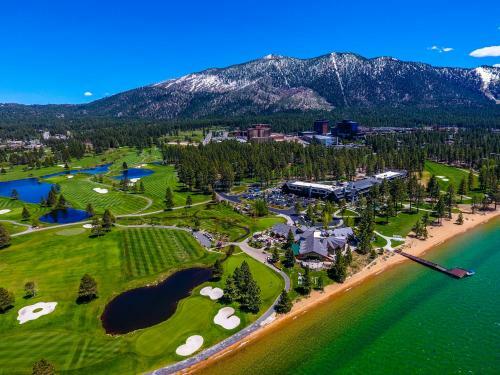 Lake Tahoe South Shore offers spectacular scenery, endless recreation opportunities, casino resorts with headliner entertainment, great dining options, family-oriented activities and value accommodation packages year round. Pristine Lake Tahoe sets the stage, with the High Sierra mountain range as the background. Summer activities include all types of water sports, fishing, lake cruises, hiking, mountain and road biking. Winter activities begin with world class skiing at three major snow sports resorts, cross-country skiing, snowshoeing and snowmobiling. Skip to Best Places to Stay. Best Time to Visit. View Map. 0665 Yucatan is situated in South Lake Tahoe 3.3 km from Washoe Meadows State Park 11 km from South Tahoe Ice Arena and 12 km from Heavenly Ski Resort. This holiday home provides barbecue facilities. Currently as low as $2200.00/night! Situated an 8-minute walk from Heavenly Ski Resort and 1.8 km Tahoe Queen in South Lake Tahoe 10 Bedroom Luxury Heavenly Estate offers accommodation with a kitchen. Guests staying at this holiday home have access to free WiFi and a balcony. Free Internet, Indoor Pool. Currently as low as $260.00/night! Featuring a barbecue 3 Bedrooms Beautiful Cabin Cabin is a holiday home located in South Lake Tahoe. The holiday home is 800 metres from Tahoe Queen.The kitchen comes with a dishwasher and an oven as well as a coffee machine. A TV is featured.South Tahoe Ice Arena is 1. Non Smoking Rooms. Boasting barbecue facilities 1167C Herbert offers accommodation in South Lake Tahoe 800 metres from Tahoe Queen and 1.2 km from South Tahoe Ice Arena. This property is 2 km from Heavenly Ski Resort. Free Internet, Indoor Pool,Outdoor Pool. Currently as low as $275.00/night! 1173 Timber Lane is situated in South Lake Tahoe 1.5 km from Tahoe Queen 1.8 km from Heavenly Ski Resort and 2.9 km from South Tahoe Ice Arena. Guests benefit from a patio and an outdoor pool. Free Internet,Outdoor Pool. 1209 Golden Bear Home offers accommodation in South Lake Tahoe 3.9 km from Heavenly Ski Resort. Guests staying at this holiday home have access to a fully equipped kitchen.The holiday home is equipped with a TV.The holiday home offers a barbecue. Offering a tennis court and a fitness centre 12485 Hillside Dr Home Home is set in Truckee 14 km from Northstar at Tahoe Resort. Guests staying at this holiday home have access to a fully equipped kitchen.The holiday home is fitted with a satellite flat-screen TV. Pets Allowed. 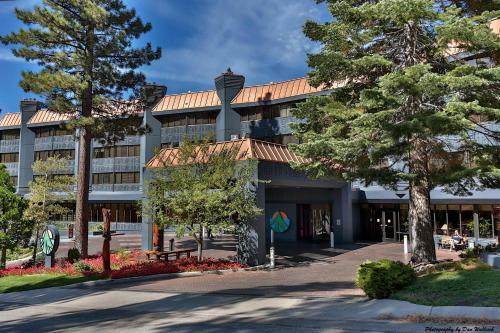 Complete with barbecue facilities 1366 Donner is set in South Lake Tahoe a 14-minute walk from Heavenly Ski Resort and 1.4 km from Tahoe Queen. The property is 2.2 km from South Tahoe Ice Arena and 9 km from Washoe Meadows State Park. Currently as low as $3900.00/night! 14 Bedroom 14 Bath Mega Mansion Vacation Rental is situated in South Lake Tahoe 1 km from South Tahoe Ice Arena 1.6 km from Tahoe Queen as well as 1.8 km from Heavenly Ski Resort. This property offers access to free WiFi. Free Internet, Non Smoking Rooms. 1507BLAC Home offers accommodation in South Lake Tahoe 2.8 km from South Tahoe Ice Arena. 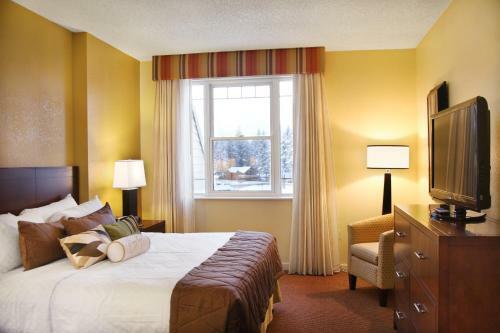 Set 2.8 km from Heavenly Ski Resort the property offers a tennis court and free WiFi. Non Smoking Rooms. Currently as low as $300.00/night! Featuring accommodation with a patio 1589 Zapotec is set in South Lake Tahoe. The property is 3 km from Washoe Meadows State Park.The holiday home is fitted with a flat-screen TV and 2 bedrooms. Free Internet. 1847 Shady Lane is an accommodation set in South Lake Tahoe 3.8 km from Washoe Meadows State Park and 5 km from South Tahoe Ice Arena. The holiday home is 6 km from Tahoe Queen.The holiday home comes with a TV and a living room. Currently as low as $195.20/night! 18th Fairway Northstar Mountain Retreat is an accommodation situated in Truckee a 20-minute walk from Northstar at Tahoe Resort and 18 km from Summit Chair. This property is 19 km from Mount Judah Express. Swimming Pool. Currently as low as $320.00/night! 1923 Cathedral Court Home is set in South Lake Tahoe 4.1 km from South Tahoe Ice Arena and a tennis court and barbecue facilities are available on-site. Guests staying at this holiday home have access to a fully equipped kitchen and a patio. Indoor Pool,Outdoor Pool. Currently as low as $222.50/night! 1928 Nez Pierce Drive Home Home is a holiday home with a balcony situated in South Lake Tahoe. Guests benefit from patio.The kitchen features a dishwasher. A TV and DVD player are featured. Other facilities at 1928 Nez Pierce Drive Home Home include a barbecue. 1951 Koyukon featuring barbecue facilities is situated in South Lake Tahoe 3.5 km from Washoe Meadows State Park and 6 km from South Tahoe Ice Arena. This holiday home is 6 km from Heavenly Ski Resort and 7 km from Tahoe Queen. Free Internet, Pets Allowed. 2 Bedrooms Condo in South Lake Tahoe 0642 Condo featuring barbecue facilities is situated in South Lake Tahoe an 11-minute walk from Heavenly Ski Resort and 1.6 km from Tahoe Queen. Guests staying at this apartment have access to a fully equipped kitchen. Non Smoking Rooms. Located 3.6 km from South Tahoe Ice Arena and 5 km Tahoe Queen in South Lake Tahoe 2074 Traverse Court offers accommodation with a kitchen. The accommodation is 6 km from Washoe Meadows State Park.The holiday home is equipped with a satellite TV and 4 bedrooms. Free Internet. 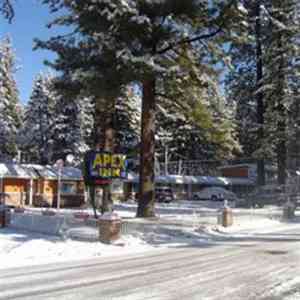 Located 3.6 km from South Tahoe Ice Arena in South Lake Tahoe 2081 Venice- 277 offers accommodation with a kitchen. The apartment is 5 km from Tahoe Queen.The apartment features a TV.Venice- South Lake Tahoe offers a barbecue. Free Internet, Pets Allowed. The sun shines at North Lake Tahoe during 75 percent of the year, or 274 days. Weather in the Sierra can be unpredictable and snowfall has been recorded in every month of the year. North Lake Tahoe typically receives 400 inches of snowfall every winter.